Introducing the new members section for the Seasonal Chart Database @ EquityClock.com. 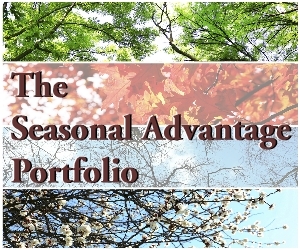 Each page contains seasonal charts and statistics profiling the best times of year to buy or sell any given investment. As well, the recently added optimal date analysis looks beyond the average profile to derive the best seasonal holding period based on frequency and return relative to the market benchmark. 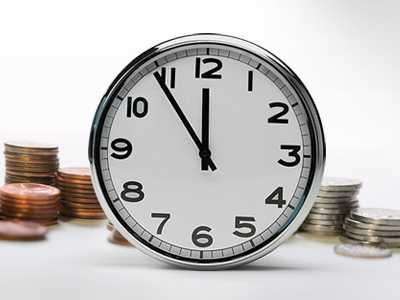 This exhaustive test is proprietary to EquityClock.com, providing defined buy and sell dates that are unbiased and undistorted by price anomalies that may occur from year-to-year. Filter the database by a number of factors, including buy and sell dates, frequency of success, and performance relative to the market. Seasonal charts provide a look at how the economy is actually performing, without the bias and manipulation imposed by seasonal adjustment factors. Find out how your sector or industry is performing relative to historic norms and invest based on annually recurring fundamental tendencies. 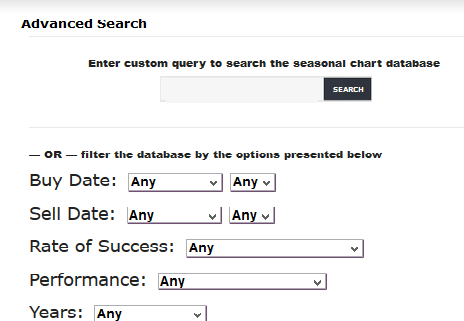 Users now have the ability to download all of the seasonal results included in the database. Open the results in Excel and filter by sector, date, return, frequency of success, or correlation with the sector. The spreadsheet also provides additional Buy and Sell dates not available in the online database. Monthly and yearly subscription options available.